There is nothing like a sunny day to bring out the cold-blooded. 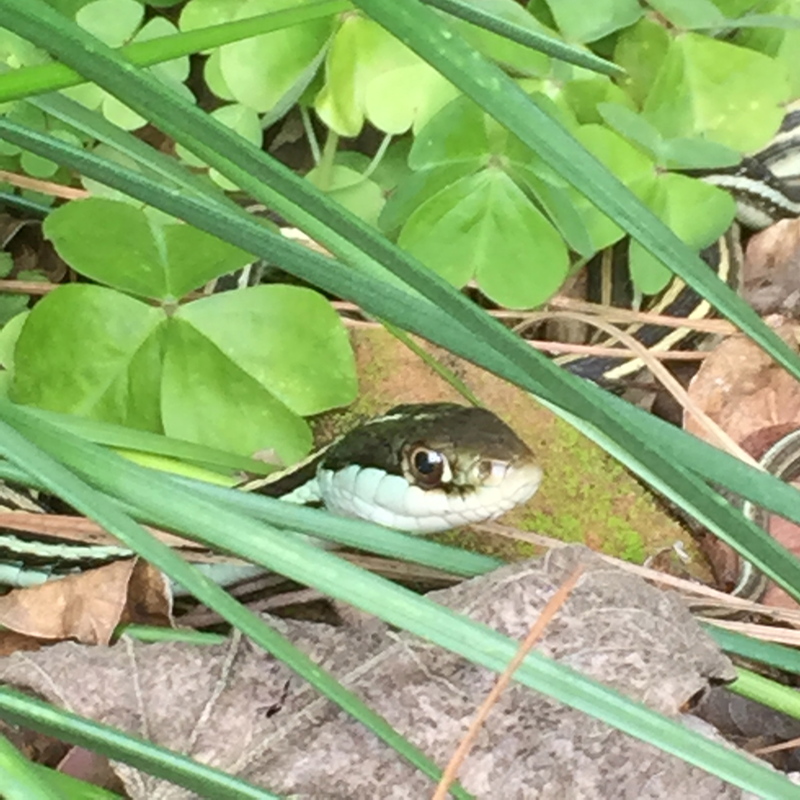 The big Ribbon Snake, or one just like, it has been in the garden for years. It will curl up and watch me work and sometimes it will slither across the porches. The snake helps out by eating insects and other varmints. My cadre of black snakes is appearing as well. I welcome all good snakes. 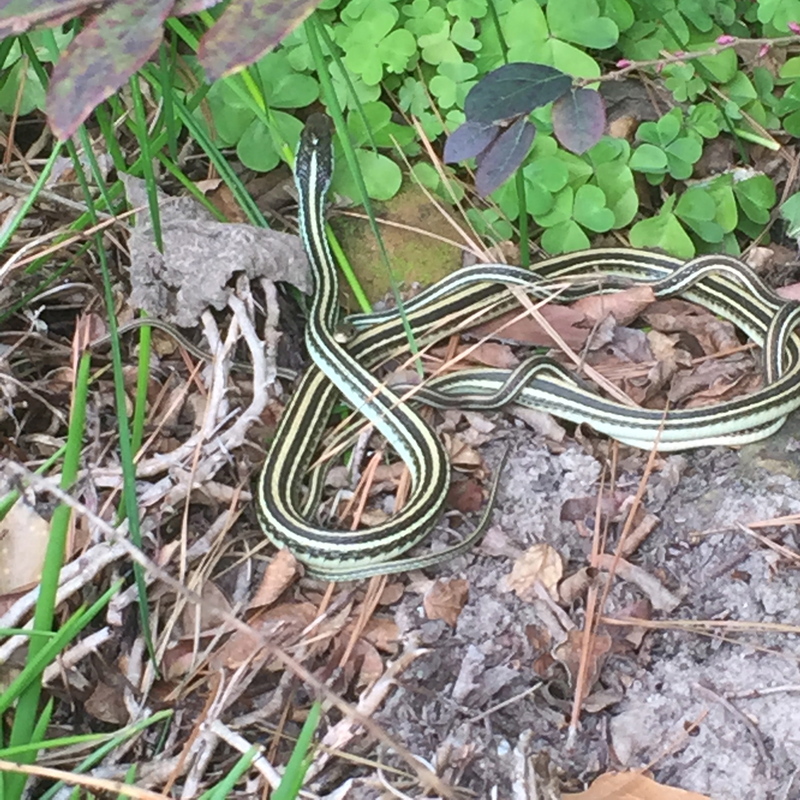 I’ve never seen a snake with that coloring before! Beautiful photos!